Once upon a time (May, to be exact), three musicians visited schools in Sarasota and Manatee counties to share the story of a princess named Anna Magdalena, the handsome Prince Dohnanyi (disguised as a peasant named Dvorak), and an evil villain named Krzysztof Penderecki. What made this so memorable – aside from the fact that all the characters’ names reference classical composers – was that the story was set to music, and the music was being performed live in classrooms by alumni of New York’s esteemed Perlman Music Program (PMP). The fairy tale begins on the eve of Anna Magdalena’s 18th birthday, but our story REALLY began when violist Molly Carr got stuck at an airport. 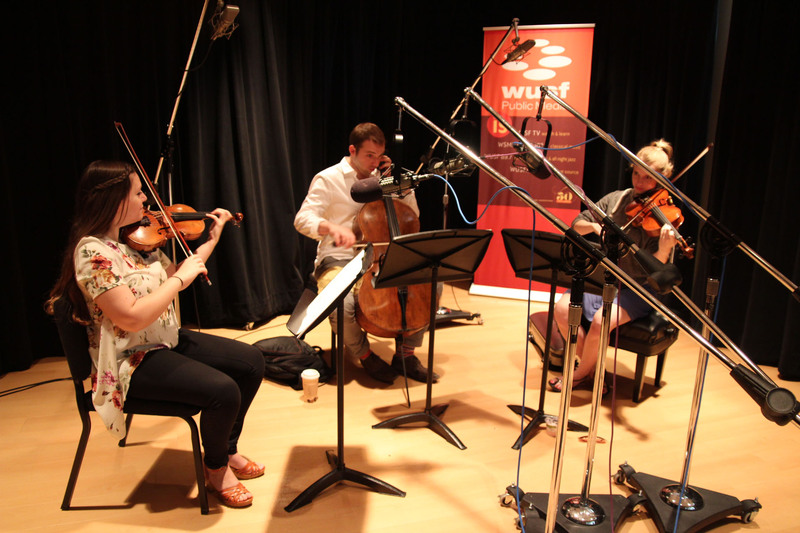 Inspiration struck, and Molly used what could have been an agonizingly boring wait time to weave together a fairy tale that revolved around the repertoire she and her fellow PMP alums – Areta Zhulla, violin, and Brook Speltz, cello ‒ had decided upon for the education outreach performances they would be giving together. In just three days, The Perlman Music Program/Suncoast was able to bring “The Tale of Princess Anna Magdalena” to 575 local students – plus 150 delighted adults at a Community Foundation of Sarasota County event ‒ as part of its education outreach program. 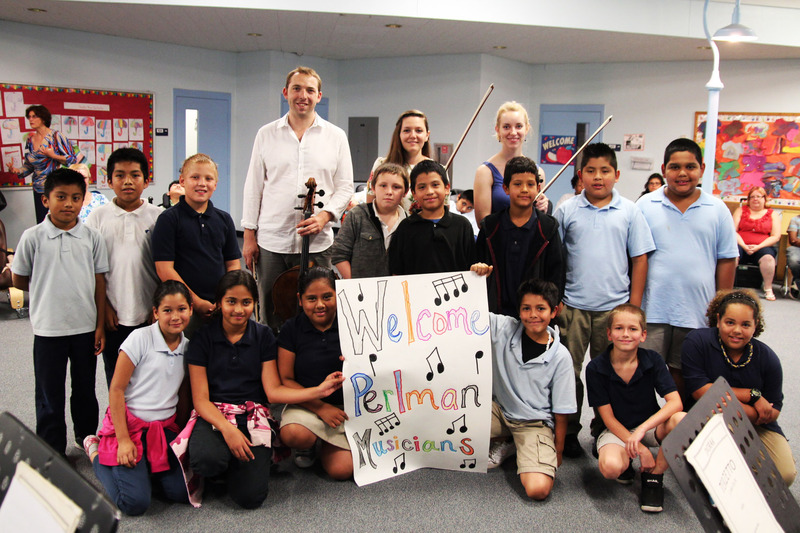 Initially established to host The Perlman Music Program (NY) for an annual Sarasota winter residency, PMP/Suncoast expanded its program offerings by bringing accomplished PMP alums – trained by Itzhak Perlman and other greats, yet seen as “peers” by young music students – to the area with the goal of inspiring the next generation of concert artists, educators, and audiences. PMP/Suncoast offers outreach programs free of charge thanks to the generosity of the Woman’s Exchange, Jewish Federation of Sarasota-Manatee, and individual donors. Blog contributed by: Krystle Harvey, Education Outreach Program Coordinator / Administrative Assistant, Perlman Music Program/ Suncoast. For more information or to request a program, contact Krystle Harvey at Krystle@PMPSuncoast.org.